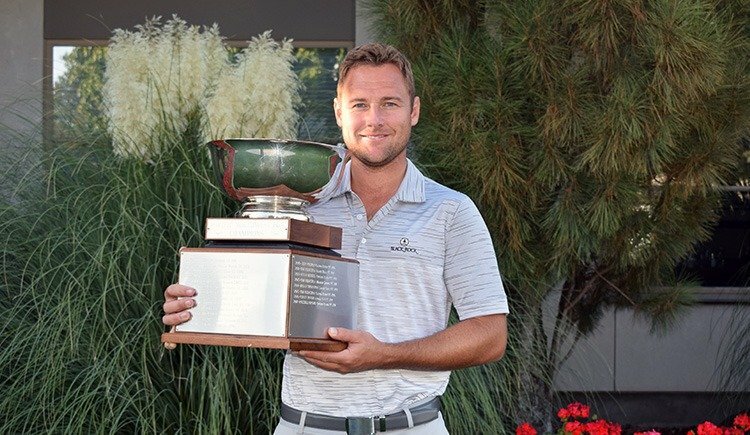 Russell Grove of North Idaho College is a repeat winner for the PNW Professional Championship after winning in a one-hole playoff against Tim Feenstra of Broadmoor GC. The Section Championship was held at Meadow Springs CC, September 18-20. 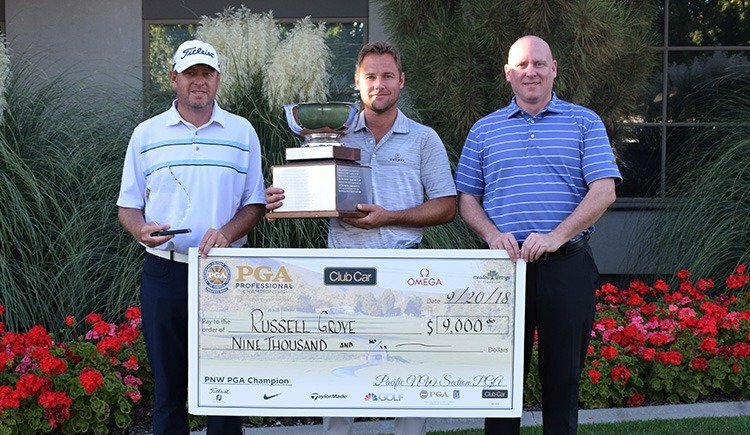 Scott Erdmann of Oswego Lake CC, Jeff Coston of Semiahmoo G&CC, Ryan Malby of Iron Horse GC, Jason Aichele of Meadow Springs CC and Brian Nosler of Loose Cannon Golf Studio all earned honors to advance to the 2019 PGA Professional Championship presented by Club Car and OMEGA, at Belfair on Bluffton, South Carolina on April 28-May 1, 2019. Meadow Springs CC was designed by Robert Muir Graves and is one of Washington’s top-rated courses. The club was founded in 1973 and over the past 45 years has hosted numerous PGA, PNGA, a PAC10 Championship and was host of the Tri-Cities Open Nationwide Tour event for many years. Meadow Springs CC recently underwent a complete bunker renovation designed by David Druzisky. The Section Championship dates back to 1934, with Verne Torfin winning the title at Fircrest GC. In 2000, the Pacific Northwest PGA Championship merged with the Section CPC to create one great tournament experience, with the top finishers going on to compete at the National PGA Championship. This event is open to PNW PGA Members and Life Members only (Life Members Retired cannot advance) with all Chapters of the Pacific Northwest represented.